July 21, 2010 - The National Treasury Employees Union (NTEU) called on the Federal Labor Relations Authority (FLRA) to provide guidance about how a union representation election would impact employees of the Transportation Security Administration (TSA) in the absence of collective bargaining rights. NTEU filed its petition for an election in order to give TSA employees a choice of representatives after another union filed an election petition, despite the absence of collective bargaining rights. ?This is the only meaningful way TSA employees can truly know what they are voting for,? said NTEU President Colleen M. Kelley, emphasizing that many significant employee rights flow from and are based upon the right to bargain collectively. In the filing, NTEU noted that the FLRA does not ?ordinarily? consider requests for guidance on any matter pending before it. ?These are not ordinary circumstances,? NTEU said. ?Exclusive representation without collective bargaining presents extraordinary circumstances requiring guidance on fundamental questions about the rights and obligations of employees, an exclusive representative and the employer,? the NTEU leader said. Further, President Kelley said: ?No doubt, the assumption of the average employee is that once elected, a union will bargain an agreement; indeed, this assumption underlies a number of statutory provisions.? NTEU is engaged in an aggressive nationwide organizing campaign among TSA employees and represents thousands of them at airports across the country. Earlier this year, an FLRA regional director?basing his decision on a 2003 FLRA ruling?dismissed the representation election petitions filed by NTEU and the other labor union. The 2003 decision also dismissed representation election petitions because of the lack of collective bargaining rights. Along with its organizing efforts, NTEU is leading the way both with the administration and in Congress in seeking either an administrative decree or legislation that would grant TSA employees these rights, which are much-needed and have been long-delayed. ?In the nearly nine years since its inception, TSA has failed to develop the stable, professional transportation protection workforce Congress envisioned for it,? President Kelley said. 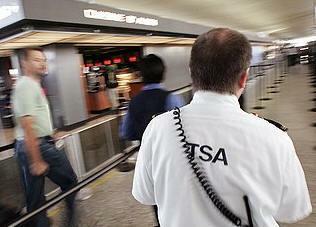 ?The best way to achieve that important goal is to provide TSA employees with collective bargaining. Not only will that give them a meaningful voice in their work lives, it will help ensure they are treated with the same respect and importance as is attached to their agency?s critical mission.? In its application for review of the FLRA regional director?s decision, NTEU cited a number of critically important reasons why FLRA guidance is vital for employees to be able to make an informed decision. The FLRA, NTEU said, ?has never decided that (federal labor law) contemplates exclusive representation without collective bargaining.? The three-member FLRA is charged with overseeing federal sector labor-management relations, including union representation elections. NTEU is the largest independent federal union, representing some 150,000 employees in 31 agencies and departments. That includes the Department of Homeland Security (DHS), where NTEU already is the exclusive representative of the 24,000-employee Customs and Border Protection (CBP) workforce. Like CBP, TSA is a unit of DHS.